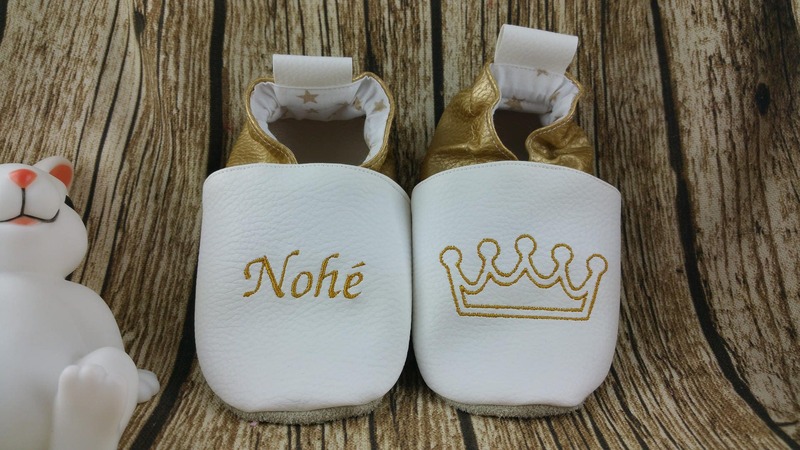 Soft booties made of white faux leather for the front and gold part on the back. 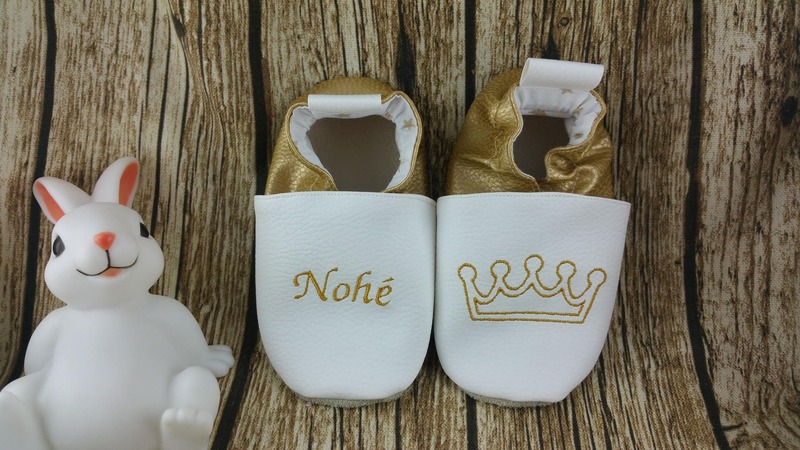 The sole is genuine leather. 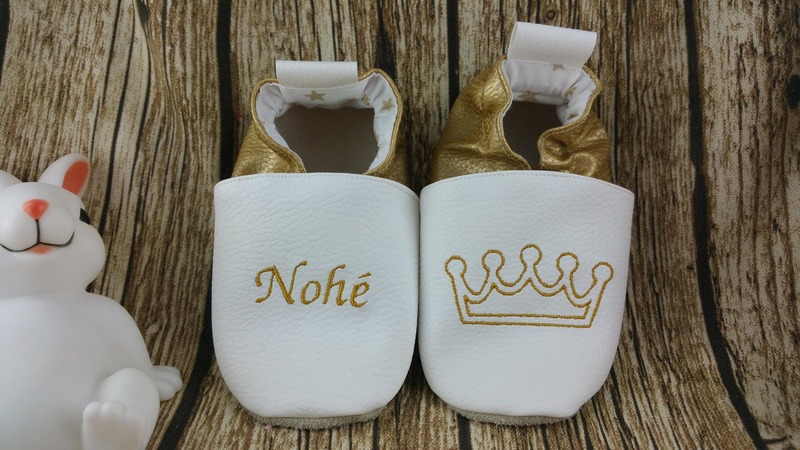 On one foot a Crown and the child's name embroidered on the other.